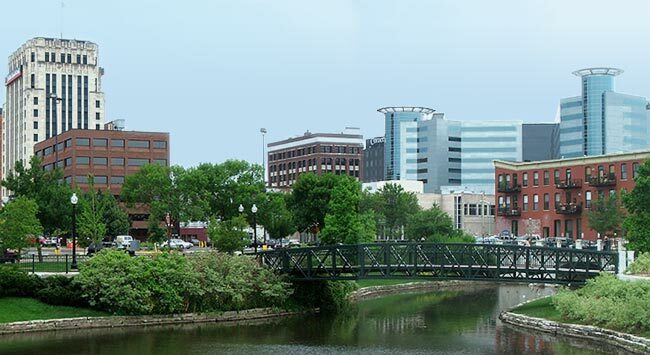 Located in Southwest Michigan, Kalamazoo is one of the Great Lakes State’s most vibrant and diverse economies. The city hosts a vast array of different industries, ranging from brewing and distilling to scientific research to industrial design to countless different types of manufacturing. Each of these fields provides wealth and jobs to the people of Southwest Michigan, but they also create a host of logistical problems. ExpeditedFreight.com is committed to solving all of these logistical problems, so that Kalamazoo can continue to grow as a major center of American production. To understand Kalamazoo’s logistical problems, it’s helpful to consider one of its most important industries: automotive manufacturing. The city has been at the center of recent growth in automotive production. This has provided tremendous wealth and high-paying jobs to the locals, but it’s also made it necessary to truck in delicate supplies from other regions of the country. That isn’t easy for carriers to do, especially given that automotive companies have to operate on tight schedules, so their inputs cannot be even slightly late. Delivering all the necessary supplies to Kalamazoo on time is no easy task. ExpeditedFreight.com doesn’t limit itself to easy tasks. As an express trucking company with a long history in Michigan, we ship to and from Kalamazoo on any schedule you set. Careful Planning - Instead of just taking the shortest route into or out of Kalamazoo, we compare multiple routes based on road quality, weather and traffic patterns, and other factors. This allows us to identify the route that will be the most consistently quick, so that there is little risk of delay or damage for your wares. 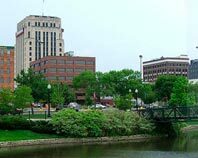 We use the same planning and attention to detail when delivering to and from other communities in the Kalamazoo area, including Portage, Lansing, Battle Creek, South Haven, and Benton Harbor. Centralized Tracking - Besides planning the route that each truck will take, we track that truck from a centralized location and look ahead for any problems that arise while it is on the way. If an issue does arise, we’ll radio the drivers and suggest an alternative route they can take to avoid it. In this way, we prepare for even the most sudden and unpredictable issues, getting you your goods no matter what comes up. Skilled Teams - We hire only the best and most committed employees. These include not just our drivers, but also our driver support teams, as well as our customer service teams who are always available to answer your questions or give you a free quote. By coordinating the activities of our staff, we can deliver as efficiently as possible while offering you all the information you need. ExpeditedFreight.com has vehicles and coverage in all major cities, allowing us to ship rapidly from Kalamazoo to any destination or to Kalamazoo from any starting point. To learn more about our services or get a free quote for your company, visit ExpeditedFreight.com or call (313) 887-0577.